Communal Water Bowls – Are They Safe? 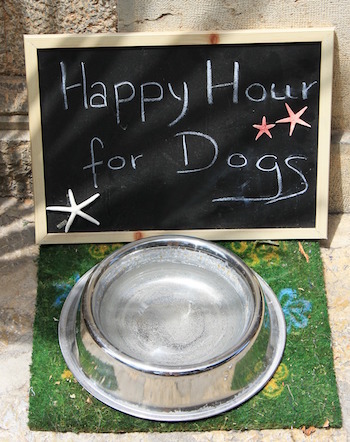 You might be thankful when you and your pup are strolling down the street on a warm day and you see a water bowl sitting outside of a pet-friendly business just waiting to provide your dog with the hydration they so desperately need — but wait! You may just want to take a pause before letting your dog take that water break. And the same goes for that water bowl at your local dog park! Why? Because of the very real possibility that while your dog is quenching their thirst from a public water bowl, they could also be lapping up bacteria, viruses, or even parasites that could make them quite sick. You know what they say … a moment on the lips ... could lead to sleepless nights of diarrhea. OK, even if that’s not really how that saying goes, it’s still a good idea to keep it in mind when you come across a communal or public water bowl for your dog. Here’s what you need to know and how you can safely keep your pup hydrated when out and about. Missed the early socialization window? – There's still hope! Considering or just adopted a timid older puppy or adult dog that clearly didn't have the best early life socialization? Or recently got a new puppy but were told to keep them locked away and not introduce them to any other dogs or bring them out and about until all of their puppy shots were done and you've now missed their early (3–4month old) socialization window? Sadly, these are scenarios that are (still) far too common. But all hope is not lost! Yes, there’s no doubt or debate about it … proper early life socialization (i.e., before 16 weeks old) is very important for a dog’s wellbeing and development and, if you’ve missed their critical early “socialization window,” you’re definitely starting behind the proverbial "8-ball." But people have made some pretty impressive shots from behind 8-balls actually, and you can too! 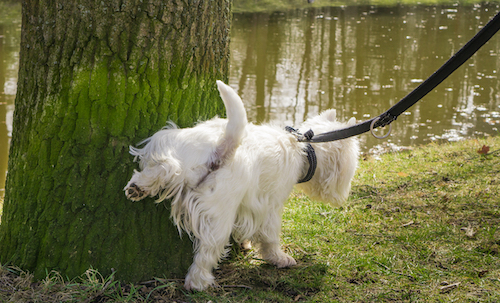 Did you know that the way your dog is peeing — or not — can give you some important information about their urinary, and even overall health. This article will highlight some of the signs you may notice when your dog pees that could indicate that a vet visit is needed. If your dog is struggling or straining while they’re peeing, it could actually be a very serious emergency condition. 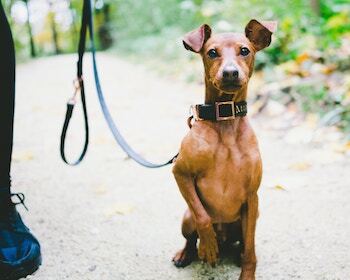 Both male and female dogs can have their urethra (the tube that connects the bladder to the outside world) blocked by a urinary stone, scaring, inflammation, or even a tumor. Male dogs can also suffer a urethral blockage from an overly enlarged prostate (more of a problem in male dogs that haven’t been neutered, as the prostate grows under the influence of testosterone). You should always err on the side of caution if you see your dog straining to pee and bring them for immediate veterinary evaluation. Even if they’re not “blocked,” your dog will be happy that you had them checked to be sure. Though it may not be your favorite topic to think about or discuss, your dog’s poop can actually provide some good clues about their health. Now, I’m not going to go so far as to say that, like the eyes are the windows to the soul, poop is the window to overall health … but it definitely can provide a glimpse! So here’s the skinny on why you should go outside with your dog when they go to the bathroom and generally pay attention to your dog’s poops. They could be trying to tell you something. The poop and pooping characteristics outlined below are a general guide. What’s also very important is a “change in normal” for your specific dog. For example, if your dog normally has slightly “soft” stools and is doing well, then all of a sudden develops firm, dryer stools … that could be an indication of a problem. Or visa versa. Or if they normally poop three times a day, and then suddenly start pooping just once a day (without any changes in diet or exercise), then that is a change that should be investigated with your vet. And so on. 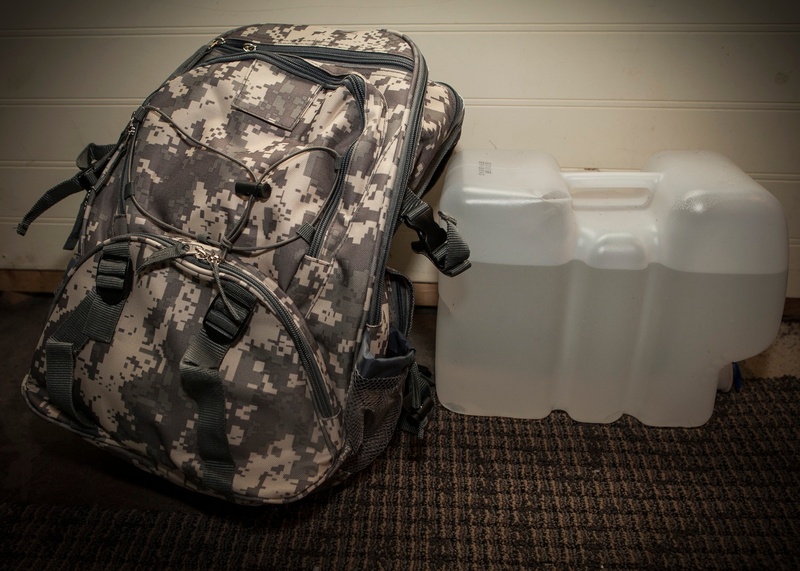 If and when disaster strikes, the last thing you want is to scramble for supplies. Whether you have to hunker down or evacuate to safety, there won’t be much time to worry about finding food, water, and other necessities — and that's if the store shelves haven't been picked clean already. So it’s vital that you not only have an emergency plan but also an emergency kit — for you and your dog or cat. Hopefully, you will never have to use this kit for the pets in your family. But you will feel a lot better knowing that you have what you need, even if you never need it. 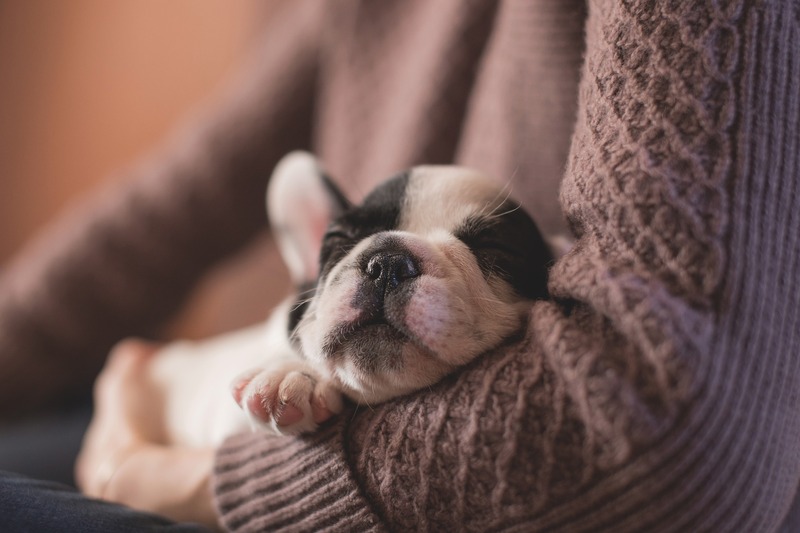 While your new puppy’s sleep schedule might not (yet) be in sync with yours, there are still plenty of things you can do to help both of you get as much sleep as possible. For the first several nights and weeks, you should make peace with the fact that you’re just not going to get a full night’s sleep. But the time and dedication you put in now will help you reach that point sooner (before sleep deprivation makes you start speaking in tongues to shadow people). Check out the tips below so you and your puppy can get back to that deep REM sleep as soon as possible. When your dog suffers an illness, injury, or poisoning, knowing what first aid to do (and not do) can have a big impact on their recovery, safety, and comfort. It can also help your emotional stress, because you'll have a plan of action to follow whenever a problem arises. For these, and many other reasons, I always recommend that dog owners take a pet first-aid class. But that's not the end of the story. Regardless of whether you've taken (or are planning to take) a first-aid class, you still need to have the supplies and "gear" handy to be able to administer first aid to your dog. And that's where having a good pet first-aid kit (or two) comes in. 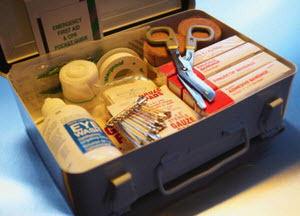 Do you have a pet first-aid kit? If not, you really should — and this article will show you what you need in your dog's first-aid kit and why. Read on to see what your dog's first-aid kit should have, and what each of the items is necessary for. Have a cat? Check out this first aid shopping list for cats. To make it easy for you to put together (or check) your pet first-aid kit, we have a shopping list (for mobile or printable) for you to take to your nearest pharmacy to grab your dog's first-aid supplies. Your puppy is settling into their new home and you’ve picked out the best food you could find (and afford). Or maybe you’ve kept the food they were fed by their breeder or at the shelter. But for some reason your puppy has no interest in their meals. This can be — and very well may be — a concerning sign in a puppy. And it’s a big concern in a very young or small puppy, as they have less ability to sustain themselves without enough calories. 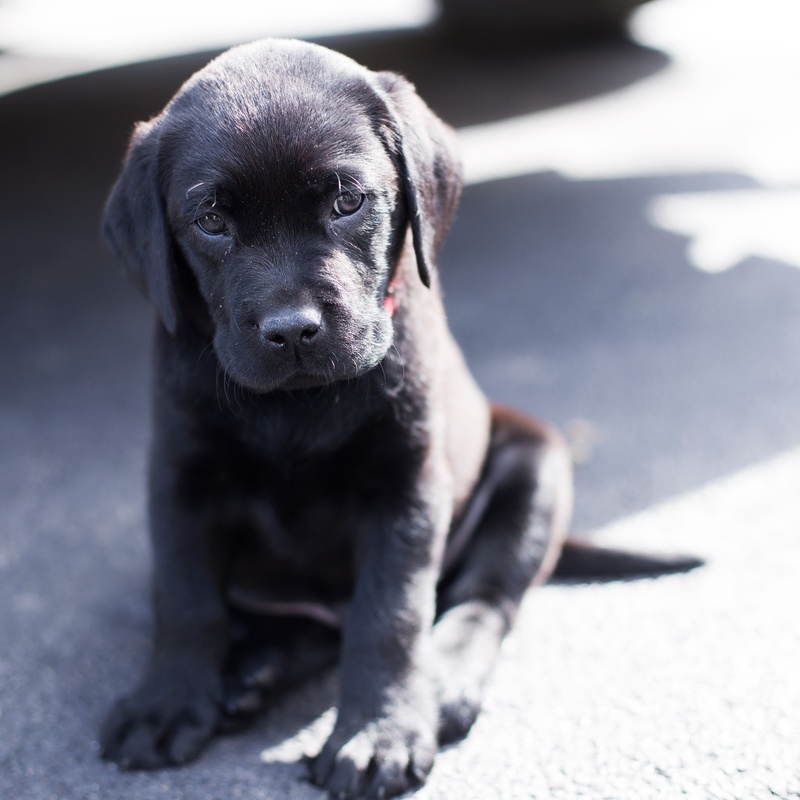 Read on to see why your puppy might not be eating and what to do about it. 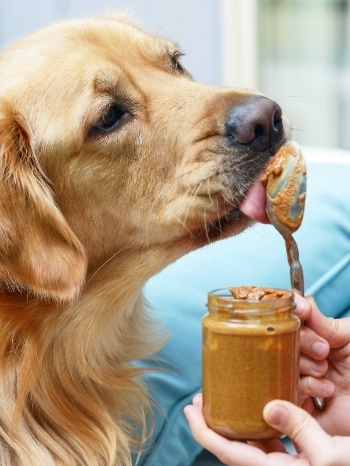 If you’re looking for a high-value treat, a handy way to sneak some pills into your pooch, or something to stuff into an interactive feeder, you can’t do much better than peanut butter. 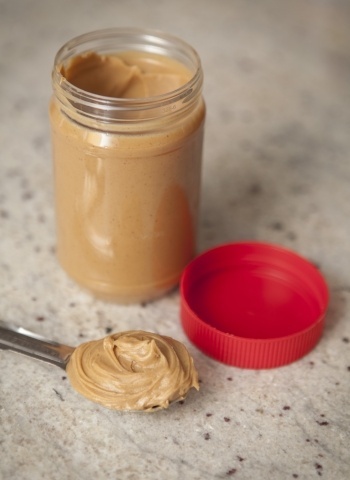 Not only is peanut butter a great snack to place in interactive feeders for dogs, but the sight of a dog vigorously smacking their chops never gets old.